WASHINGTON (Reuters) - The U.S. Senate agreed on Tuesday to begin debate on a bipartisan energy efficiency bill, but seems unlikely to pass it unless lawmakers agree on how to proceed with the long-delayed Keystone XL oil pipeline project. The Senate voted 79 to 20 to advance the legislation, the first big energy bill to reach the Senate floor since 2007. Offered by Democrat Jeanne Shaheen of New Hampshire and Republican Rob Portman of Ohio, the White House-backed bill would save energy through tougher building codes and by making federal government offices install new technologies. Senate Majority Leader Harry Reid, a Nevada Democrat has offered to hold a vote on a separate bill to provide Congressional approval of Keystone if Republicans allow passage of the energy measure, a version of which has already passed the House of Representatives. But Republicans want to add several amendments to the energy bill, including one that would take decision on TransCanada's Corp's Keystone pipeline out of President Barack Obama's hands and give it to Congress. The State Department recently delayed a decision on Keystone, likely until after the November congressional elections. As of mid-day Tuesday lawmakers had not yet found common ground, and it was unclear if they would. The stalemate could end up killing the energy bill and preventing a vote on Keystone as well. 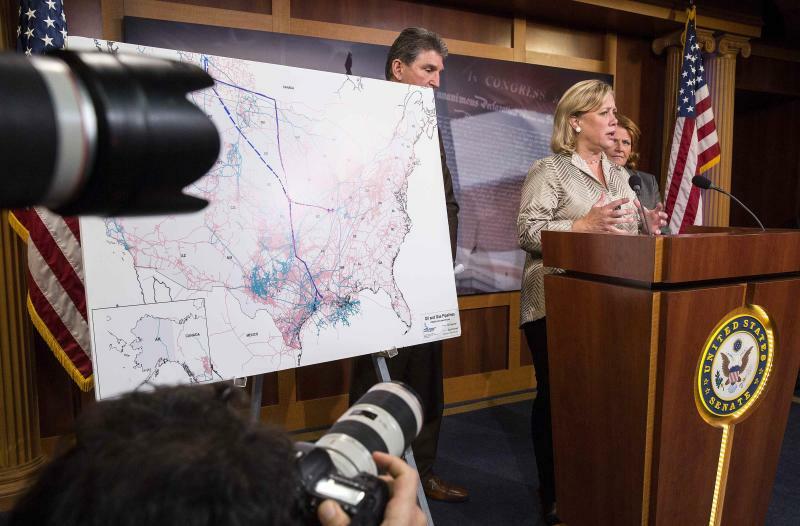 A Senate Republican aide said it was increasingly looking as if talks to get a vote on Keystone had stalled. 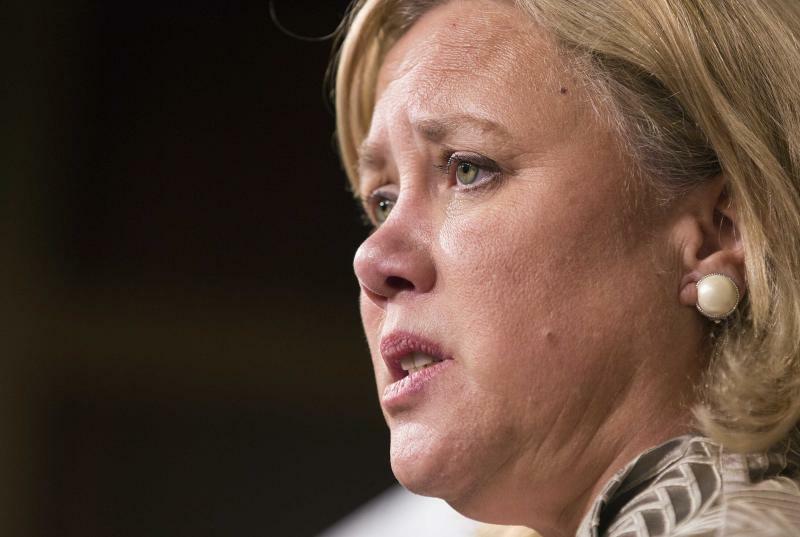 The aide said that Republicans have concluded that the main benefit of a Senate vote on Keystone would be to boost the re-election campaign of Democratic Senator Mary Landrieu of Louisiana. 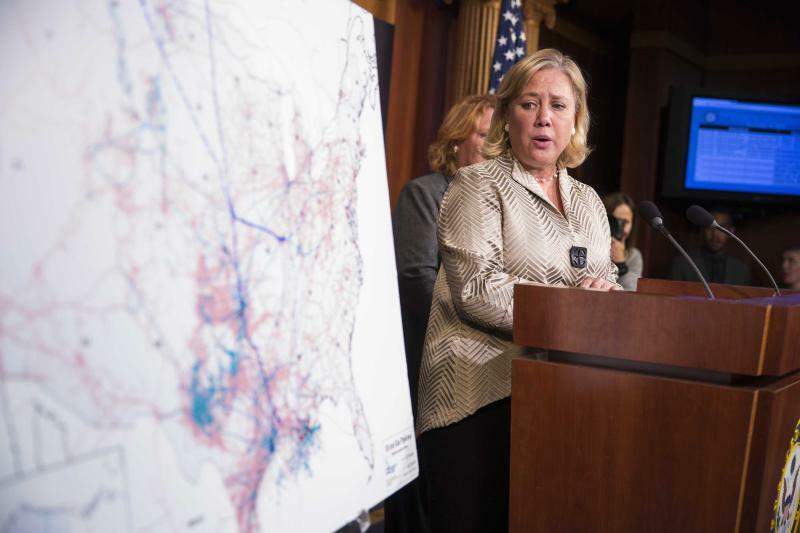 Landrieu has long called on the Obama administration to approve Keystone. Some Republicans fear that such a vote in the Senate could support her central campaign theme of being an effective senator. The pipeline would bring more than 800,000 barrels per day from Canada's oil sands to refineries in Texas. Environmentalists oppose Keystone because they say it would lead to more spills and emissions linked to climate change. Backers say it would strengthen North American energy security and create thousands of construction jobs. Even if Congress passes legislation to approve Keystone, Obama could veto the measure, and likely would have the votes to sustain a veto. Other amendments that Republicans want to offer include one to block new emission standards for coal-powered plants, to allow export of liquefied natural gas, and prevent imposition of a federal tax on carbon pollution. Shaheen said her bill would save consumers and businesses $16 billion a year in energy use and create jobs. The bill has wide support from environmental groups and business groups. "The time is now for the Senate to pass this bill," Shaheen said on the Senate floor. "We can't let extraneous debate on amendments to get in the way of getting this legislation done."